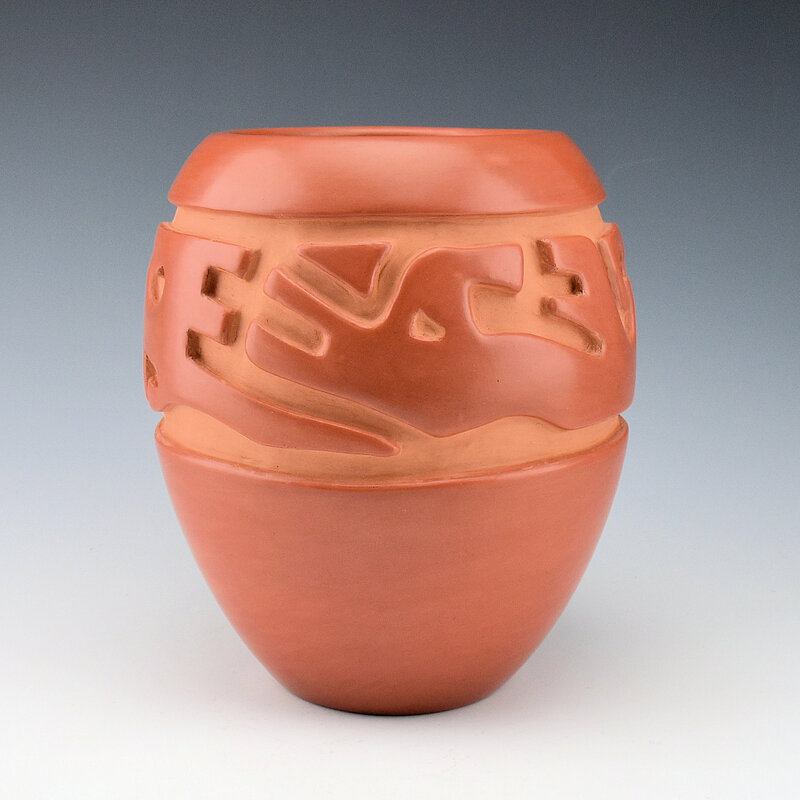 This tall jar by Margaret Tafoya is from the 1980’s. The jar is a very unusual and interesting piece on several levels. 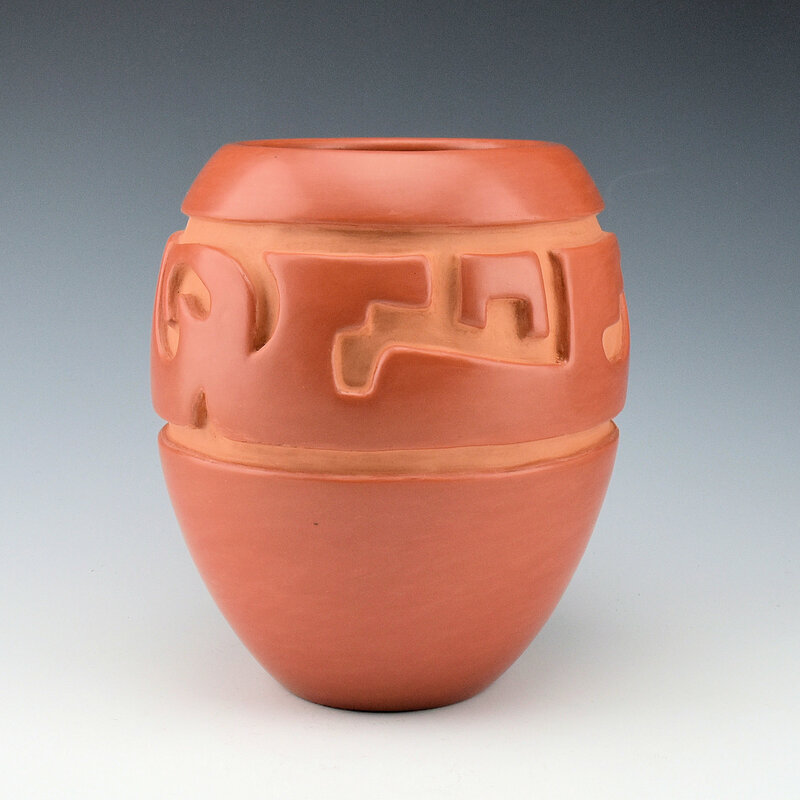 The design on the jar is a carved avanyu. This is one of the classic designs of Santa Clara pottery, which tells the story of how the water serpent saved the village from a flood. 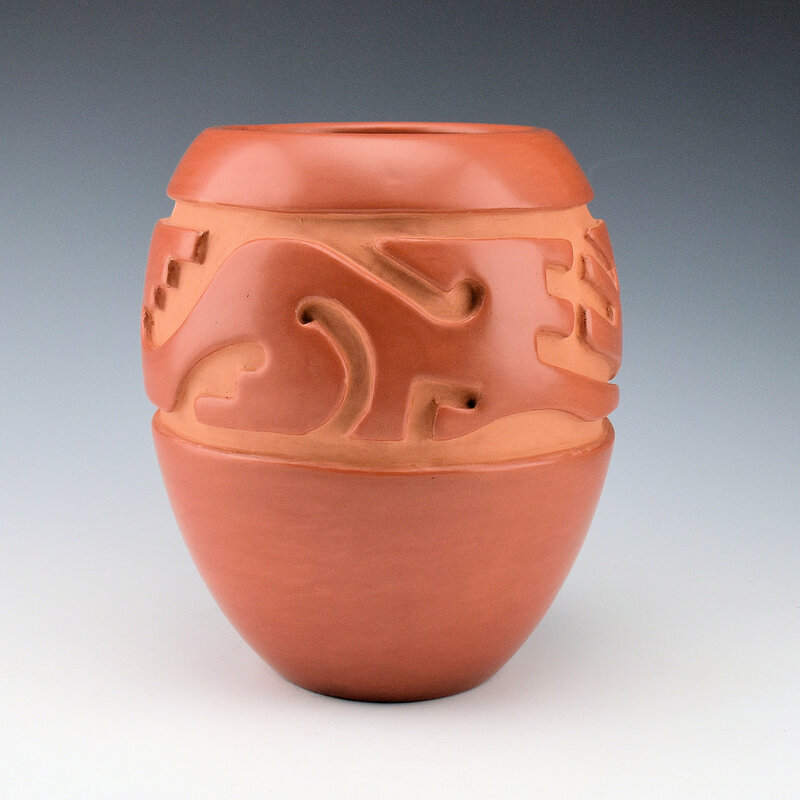 What is unusual on this jar the style of the avanyu. The head is more square and a square mouth. When I first saw the design on this jar it looked both unusual and familiar. Check out the very last image on this post and there is a jar by Margaret from the 1930’s with a very similar shape of avanyu! It seems that at several times in the 1980’s Margaret revived older designs for her work, much as on this jar! The next aspect of this piece is to check out the body of the avanyu and the very complex designs. Typically they are more simple and flowing but this piece has very angular lighnting and cloud patterns for the body. Finally, it’s the color of this jar which is so unusual. It’s more of an orangeish red than a deep red. It could be that it was a bit overfired or that she used a different slip for the color. The result, however, is quite striking as it has a bold appearance. The jar was originally purchased from Toni Roller at her studio during one of her shows for Margaret and the Tafoya Family. 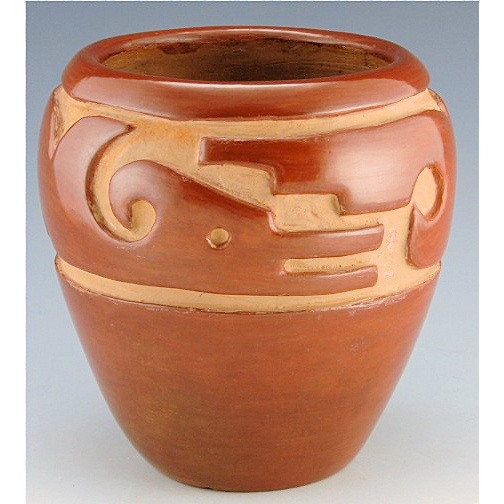 The jar is signed on the bottom in the clay, “Margaret Tafoya”. It is in excellent condition with no chips, cracks, restoration or repair. This jar is definitely an important addition to any collection!